Building a basic understanding of oil and gas operations and activities. The key consideration for mineral owners is to either build or acquire the skills and expertise to effectively market and profit from their mineral interests. Oil and gas companies have an interest in acquiring minerals for the lowest cost and create higher profit margins for the company. This is the same business strategy that many mineral owners use in their day-to-day businesses. However, while the mineral owner may be skilled in running a ranch, a small business or another career, the oil and gas company makes a full-time business out of developing minerals – leading to a frequent mismatch in information and capabilities. 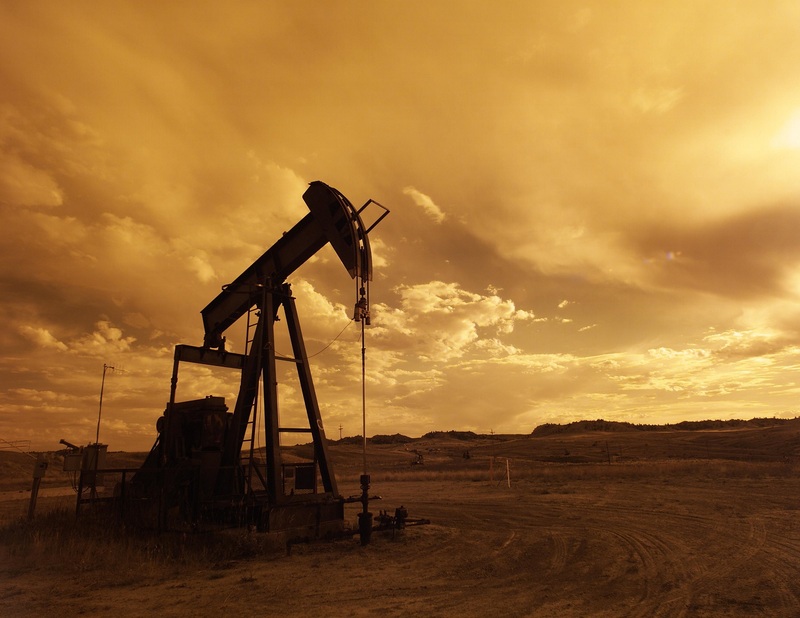 Kinney Law Office specializes in oil and gas industry transactions and can help mineral owners by developing effective legal strategies and providing support through a network of professionals to help with profitable management of mineral interests. The following information is a simplified discussion of mineral ownership and terminology describing the rights of a mineral owner. If you have specific questions, please contact our office for a free consultation or schedule one through our online scheduling system. In the oil and gas industry, the most common type of transaction between a mineral owner and an oil and gas company is the oil and gas lease. Under an oil and gas lease, all (or most) expenses associated with searching for, developing and producing oil and gas are the responsibility of the oil and gas company. In exchange, the mineral owner receives economic benefits depending on the specific terms of the lease and any other agreement between the parties. Mineral owners should know that there is no “standard” lease form or terms. Every development project is geologically, technically and economically different and should necessitate different leasing terms between the oil and gas company and the mineral owner. In a leasing situation, the mineral owner has certain rights including: 1) the power to lease (also referred to as the executive right); 2) the right to a bonus; 3) the right to delay rentals; 4) the right to a royalty; 5) the right to shut-in-royalties; and 6) other rights that may be specific to the lease or agreement. Each of these rights may be sold or transferred independently by the mineral owner. The power to lease (or the executive right) is based on the mineral owner’s inherent right to explore for, develop and produce petroleum, including the use of the surface of the land to accomplish that objective. Under the oil and gas lease, the mineral owner transfers this right to explore for, develop and produce petroleum to an oil and gas company specializing in such activities. This transfer is not unlimited in duration, as the mineral owner has an interest in developing the minerals as soon as possible. This limitation is handled under a lease by dividing the term of the agreement into two parts. The initial or “primary” term is set at a time period whereby the oil and gas company must commence development of the mineral estate or surrender the lease back to the mineral owner. Once production begins, the lease will usually remain in force as long as it is economically feasible to continue producing oil and gas. This is referred to as the “secondary” term and such leases are referred to in the industry as being “held by production.” A common time limit on the primary term is three years, but it can vary greatly depending on the unique circumstances involved in the project. The right to a bonus refers to the right to a payment for the execution of an oil and gas lease. The bonus is typically calculated on a per-acre basis and can vary substantially depending on the characteristics of the property. For example, a recent lease bid round in Weld County, Colorado, included bids of $12,550/mineral acre, $3,000/mineral acre and $960/mineral acre. In an extreme example, certain acreage in the core of the Permian basin was being leased for up to $50,000/acre. More typical bonus payments can range from $100/mineral acre to $500/mineral acre. The bonus depends on the size of the tract being leased, its location relative to a highly profitable production area, its geological and petrophysical characteristics and many other factors. The bonus is a one-time payment to a mineral owner that is paid at lease signing. If the company does not commence production during the primary term and surrenders the lease, the mineral owner is free to enter into a new lease and collect a bonus. If production commences during the primary term and the lease transitions to the secondary term, the bonus payment will not be paid again until production ceases, the company surrenders the lease and the mineral owner signs a new lease in the future. Delay rentals are payments made by the oil and gas company to the mineral owner to compensate for the delays in developing the minerals on the leased land. Once the mineral owner leases the land, the oil and gas company then starts negotiations on a number of separate transactions needed to begin the development of the minerals. These transactions can include contracting for seismic survey services, surface use agreements with affected surface owners, contracts for well drilling services, environmental and safety management, title and division order documents from law firms, permit applications with the state regulatory agencies and a plethora of other agreements and permissions needed to begin development of the minerals. Delay rentals were typically paid on an annual basis, though some companies now offer a “paid-up” lease that includes delay rental payments for the full primary term. The “paid-up” payment can either be a separate payment or can be included in the bonus payment as a one-time payment. Is the royalty payable “in kind”? Oil production can contain an option for the royalty owner to take delivery of the actual crude oil produced from the lease and allocated under the royalty provision and can then market the oil separately from the oil and gas company. Successful execution of this strategy requires a detailed understanding of the market. Since most mineral owners are more interested in receiving cash as opposed to barrels of crude, most mineral owners elect to receive the royalty in cash at the specified price of oil. Natural gas royalties are almost always payable in cash. If the royalty is paid in cash, how is the payment calculated? The payment can be based on the proceeds received by the company, the market value of the petroleum (oil or gas), or other methods specified in the lease. Since the secondary term can extend for decades, a sample calculation and relevant adjustments for inflation and other factors should be included in the lease or supporting documents. Is the royalty free of the costs of exploration, development and production? Nearly all jurisdictions consider a royalty to be “off the top” or based on the gross proceeds or gross production. Are post-production costs attributed to the royalty? Once oil and gas are produced at the wellhead, the company can incur additional costs for gathering the petroleum, processing and transporting the petroleum to a market. While the royalty is free of the costs of production to the wellhead, it may not be free of the costs once it is out of the ground. Mineral owners should be especially vigilant on this point, as it has been the subject of litigation between the mineral owners and oil and gas companies in the past. Mineral owners should ensure the lease is explicit about what costs, if any, can burden the royalty interest. Does the royalty change for oil versus gas production? While oil and gas are often grouped together when discussing the industry in general terms, the two are very distinct and separate industries. For example, crude oil can be loaded on a truck, pipeline or ship and almost immediately enters the global marketplace. By contrast, natural gas requires special processing, pipeline transportation and specialized infrastructure (such as a liquefaction plant) to be bought and sold in the marketplace. Since the economics of an oil project versus a gas project are different, it may make sense for the mineral owner to specify different royalties for each (if they are being produced together). Is there a minimum royalty that must be paid regardless of actual production on the leased area? A minimum royalty is similar to a shut-in royalty (described below) and can provide important protection to the mineral owner depending on the overall circumstances. There are also different types of royalties. A landowner’s royalty, a lessor’s royalty, or a leasehold royalty are common terms that describe the royalty interest that compensates the mineral owner for the development and production of the minerals. An overriding royalty interest (ORRI) is a royalty interest that is created from the working interest in the property (they do not affect the mineral owner, only the company developing the minerals). An ORRI is an interest in the proceeds from the minerals sold and terminates when the lease terminates. The ORRI is often used to compensate geologists, landmen and other parties that provided services to develop the minerals for the company. A Non-Participating Royalty Interest (NPRI) is carved from the mineral estate (and so does affect the mineral owner). A NPRI holder does not share in the other rights of mineral ownership (such as the executive right, right to a bonus, etc.) and receives the interest free of the share of costs of production. The NPRI can be an important tool for a mineral owner to create cash when needed for financial, estate planning or other goals. Shut-in royalties are paid in lieu of actual production on the lease. The shut-in royalties are typically paid when a well has been completed and is capable of producing in commercial quantities, but is not able to produce for a variety of reasons. In some cases, there may be inadequate infrastructure to transport the petroleum (usually natural gas) to a market. In other situations, the well may need a “workover,” which can include the installation of additional equipment or certain services to stimulate or enhance production on the well. The shut-in royalty operates to extend the primary term of the lease until actual production can be obtained or prevent lease forfeiture for lack of production under circumstances described above. This clause should be specifically negotiated in a lease and the conditions under which the shut-in royalty can be paid by the company should be explicitly described in the lease document. While a lease is the most common type of transaction, it is not the only means of developing the minerals. A mineral interest holder with in-depth knowledge of the industry may want to participate in the development through a partnership with the oil and gas company. This type of arrangement is referred to as a “working” or “participating” interest. In this situation, the mineral owner would typically bear a proportional share of the exploration, development and production costs associated with the project and would be entitled to a proportional share in the profits associated with the sales of petroleum. Depending on the circumstances, this approach can yield much greater economic benefits for the mineral owner, but requires a great deal more skill and industry knowledge to execute effectively as compared with the more traditional lease. A mineral interest owner contemplating such a transaction should contact our office for specific guidance and support on this type of transaction. For more information on this or other mineral rights issues, contact our office today. Mr. Kinney’s practice is primarily transactional in nature, though he does have some experience with both civil litigation and arbitration. His primary focus is on petroleum project development, including all aspects of exploration, development, transmission and commercialization. He also has a broad range of experience in energy projects including independent power projects, wind energy projects, transmission line development and others. Mr. Kinney’s unique background allows him to support clients with all aspects of transactional analysis, including legal and contractual framework support, due diligence and risk assessment, and contract drafting and negotiation support. He can also provide litigation support, policy and legislative consulting and a variety of other services that may be required by governments, businesses and individuals with an interest in energy projects and project development.